Commonly, hamsters are thought of as cute, furry, and disposable pets, but the small, rat-like, Chinese hamster serves a totally different function. These rodents are fairly uncommon as pets because they can be difficult to breed. Ironically, the cells of their reproductive organs are what make them so useful to scientists. The Chinese hamster ovary (often abbreviated CHO) tissue is commonly cultured as individual cells in a monolayer and studied worldwide. 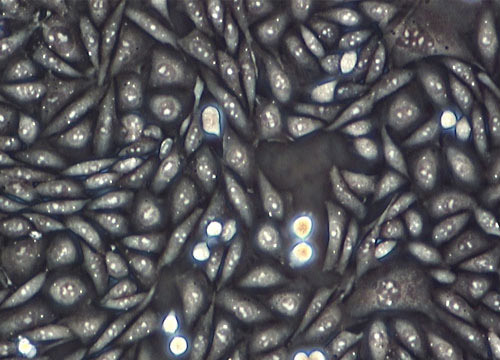 The majority of animal cells exhibit a finite lifetime when isolated and grown in a tissue culture medium that supplies necessary nutrients, salts, and vitamins. Typical vertebrate cells divide between 50 and 100 times before they can no longer carry on cell division and eventually die. Many theories suggest that this limited lifespan is related to the corresponding life cycle of the parent organism from which the cultured cells were derived. Occasional changes in the genetic makeup of cultured cells allow them to proliferate indefinitely, making them effectively immortal. Such lines are said to be transformed, and are often used in research as a standardized cell line. Chinese hamster ovary (CHO) cells were introduced in the early 1960s as a viable epithelial cell line containing twin female X chromosomes. 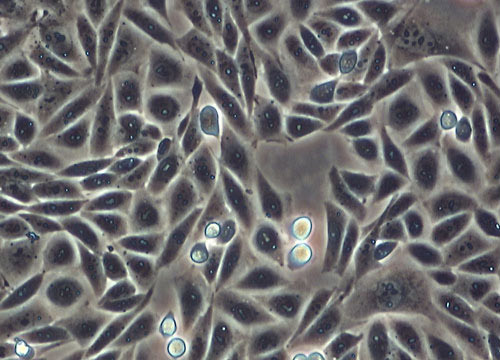 The most common type of CHO cells has a nutritional requirement for the amino acid proline, which makes this cell line an ideal candidate for genetic studies.